Preparations for Norwich’s first major Bioblitz are gathering pace. The station is starting to emerge, piece by piece, from its blanket of nettles, brambles and earth. 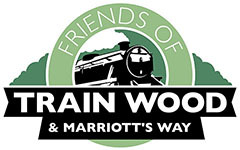 That’s thanks to five hours from the Friends Of Norwich City Station team last Saturday afternoon, dodging showers, handing out leaflets for the event and chatting to the public. 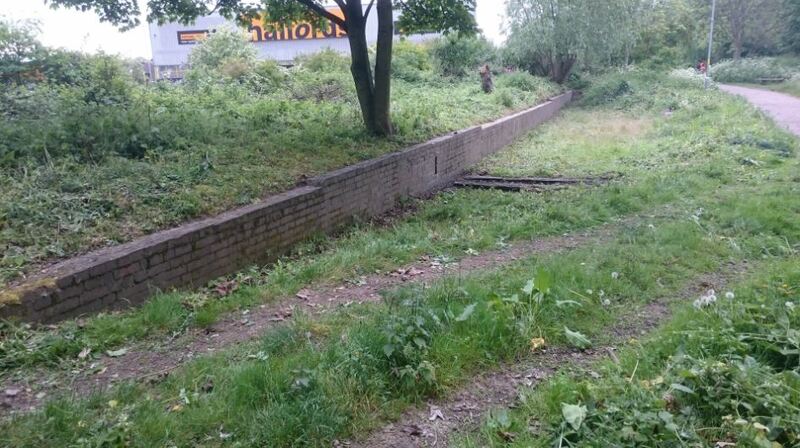 The team revealed the area around the platform by clearing nettles, cleaning the brickwork up on the wall, and uncovering some of the coaling stage with its crane mounting. Its outside facing wall is now almost complete, and further excavations here will produce significant results. Two special visitors also popped by. 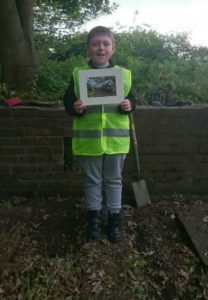 Young Sam Anderson, who made such a touching and informative film about the railway heritage was presented with a special photo by the FONCS team. Sophie Cabot of Norfolk County Council, the newly appointed Marriott’s Way heritage trail officer, also came along to say hello. This weekend there is a litter pick planned on Saturday 20th from 10am to 12noon. Gloves and litterpickers provided, all welcome to help spruce up the wood ready for next weekend:the Bioblitz on May 27th. If you would like to help out at the Bioblitz, do get in touch.